Meet the Creators - Hold Your Breath! I'm Jillian Franco. I am a sophomore at Rutgers University studying Nursing. 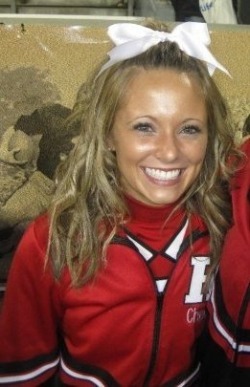 I am on the Rutgers Cheerleading team, and I came up with the general idea of the Hold Your Breath! game. Katrina Cleofe is a transfer from The College of Saint Elizabeth and is finishing her degree at ye olde RU. She likes to write in her spare time, play video games, and talk about herself in third person whenever she can. I'm a Sophmore at Rutgers University studying Psychology and Criminal Justice. After Rutgers, I plan to go to Law School. I enjoy working on projects and painting because I enjoy being creative. For example, I came up with the original idea for the maze aspect of the Hold Your Breath! game board. I am a Junior at Rutgers NB studying for a psychology degree. I Enjoy working with photoshop and helping create board games. "Hold Your Breath!" is the newest game that I have worked on and before that "Ru Rah Rah" kept me busy!